Most of the users who are new to graphics cards are not aware of the various technical terms associated with it. A graphics card or video card is a powerful and complex computer hardware component that it used to run games and graphics applications smoothly (professional and other softwares). A graphics card is made up of various components and there are some other components that work along with. Also there are different graphics card manufacturers that offer different models of graphics cards with same graphics processor or GPU but have different performance and size. Learning about graphics cards can be a difficult task for novice users, so here in this post I am going to list down all the technical terms that you can find with graphics cards. 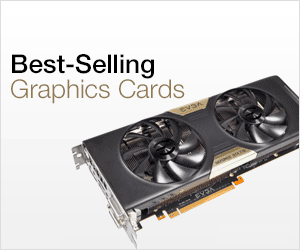 You can also know about the various components of graphics cards from the link given below. Here are the various technical terms that you should be aware of when buying a graphics card or if you already have one in your system. GPU – GPU stands for Graphics Processing Unit and it is the Graphics Processor that does all the processing and calculations in a graphics card. GPU is the heart of any graphics card and there are mainly two popular GPU manufacturers, which are Nvidia and AMD. GPU Clock – The speed at which the GPU operates is known as GPU Clock. Some GPUs have two sets of speed, one is base clock and the other is the turbo boost. Base clock is the original or default speed of the GPU and turbo speed only kicks in when GPU requires more speed for processing. Turbo boost only works for a short time only. VRAM – VRAM stands for Video Memory which is used to store the textures or other data for graphics processing by the GPU. The type of video memory present in the graphics card can be DDR3, GDDR5, HBM or HBM2. VRM – VRM stands for Voltage Regulator Module and these VRMs are responsible for providing the appropriate voltage to the GPU, memory and the other components of graphics card. Memory Clock – The speed at which the graphics card video memory runs. Memory Interface – It refers to the bus width of the memory. Greater the memory bus-width, the greater will be the bandwidth of the memory. It is also known as Memory bus and it can be 64-bit, 128-bit, 256-bit or higher depending upon the memory used and graphics card. CUDA Cores – The number of cores or processors present in the Nvidia GPU. Stream Processors – The number of cores or processors present in the AMD GPU. 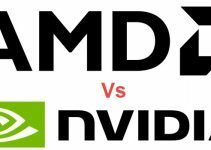 Note: It must be noted that CUDA Cores and Stream Processors cannot be equated because of the difference in the GPU architectures of Nvidia and AMD GPUs. PCI-E Interface – The main interface to connect your graphics card in the PCI-E x16 slot of the motherboard. The latest PCI-Express Specification is PCI-E 3.0. 6-pin / 8-pin PCI-E Power Connector – External power connectors required by the graphics cards from the PSU or Power Supply. There are two types of PCI-E power connectors, one having 6-pins and other one with 8-pins. Entry level and some mid-range graphics cards does not require external power connectors and they draw their power from the PCI-Express x16 slot only. OC – Overclocked version of graphics card. If there is OC or OC Edition written after your graphics card model then it is an overclocked version. This means that the graphics card has higher GPU clock and Memory clock speed. TDP or Power Consumption – Maximum amount of power consumed or drawn by the graphics card. *GPU and Memory Clock speed are generally specified in MHz or Megahertz. Sometimes memory speed is specified as Gbps. DVI – DVI stands for Digital Visual Interface or Digital Video Interface which is digital interface to connect graphics card to the monitor. It transmits video only. HDMI – HDMI stands for High-Definition Multimedia Interface for connecting video card to the monitor. It can transmit both video and audio signal. DP – DP stands for DisplayPort and is a digital interface that supports higher resolution with higher refresh rates. This is the preferred display port for 4K gaming. D-Sub – Also known as VGA port. It is a 15-pin analog port that is rarely found in new graphics cards. Cooler – A unit on the top of your GPU or graphics card that is used to keep the temperature of your major components i.e. GPU, VRAM and VRM down. A cooler can be active or passive but most of the graphics cards have active cooling that involves fan and heatsink. Heat Pipes – Some heatsinks comes with heatpipes that helps in better heat dissipation. Copper heatpipes are best for heat dissipation. Passively Cooled – These are the graphics cards that only consist of heatsink for cooling. These are also known as fanless graphics cards and they are completely silent in operation. Water Cooled – These are graphics cards that cooled down by a liquid or water cooling solution. A water cooling solution consists of liquid, radiator, fan and a pump. Low Profile – These are slim graphics cards having lesser width and can fit in low profile or slim cases. They are also known as half height graphics cards. Mini – These are small form factor or SFF graphics cards having shorter length and can fit in smaller and mini-ITX cases. 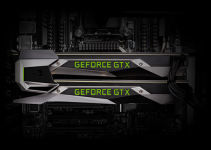 Dual Slot – Graphics Cards that occupy two slots of space on your motherboard or PC case. 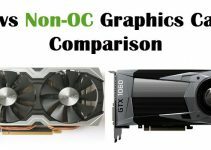 Most of the graphics cards in the market today are dual slot only but you may find much bigger graphics cards that occupy 2.5 or 3 slots on your motherboard or computer case. Single Slot – Graphics Cards that occupy single slot of space on your motherboard or PC case. RGB LED – Red Green Blue LEDs in graphics card. SLI – SLI stands for Scalable Link Interface which is dual GPU technology for Nvidia based graphics cards. CrossFire – CrossFire is Multi-GPU technology for AMD based graphics cards. DirectX / OpenGL / Vulkan – Graphics APIs supported by the graphics card for modern games. The latest version of DirectX is 12 and for OpenGL it is 4.5. If you have any doubts or queries regarding graphics card or want to suggest something then you can reach me by leaving a comment below.